So as you probably know the wizards in Frostgrave are accompanied by hired soldiers that handle combat on the streets of Arendelle Felstad. 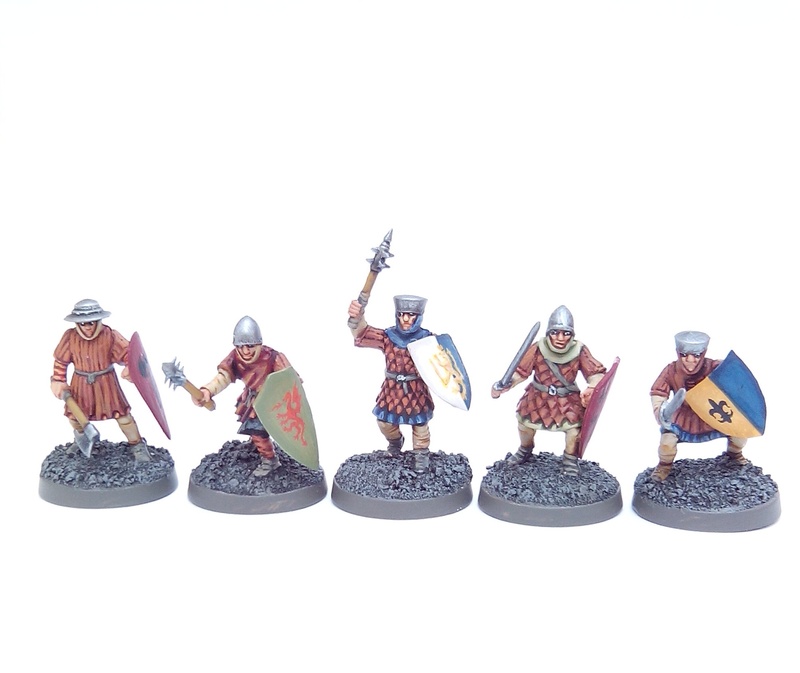 I’ve been painting some to cover a few choices from the book, first up are Crossbowmen, Men at Arms and Archers. The idea is to have enough figures to pick 8 combatants for a wizard’s warband. I will cover the rest of the options, including the random encounter creatures, as time permits. 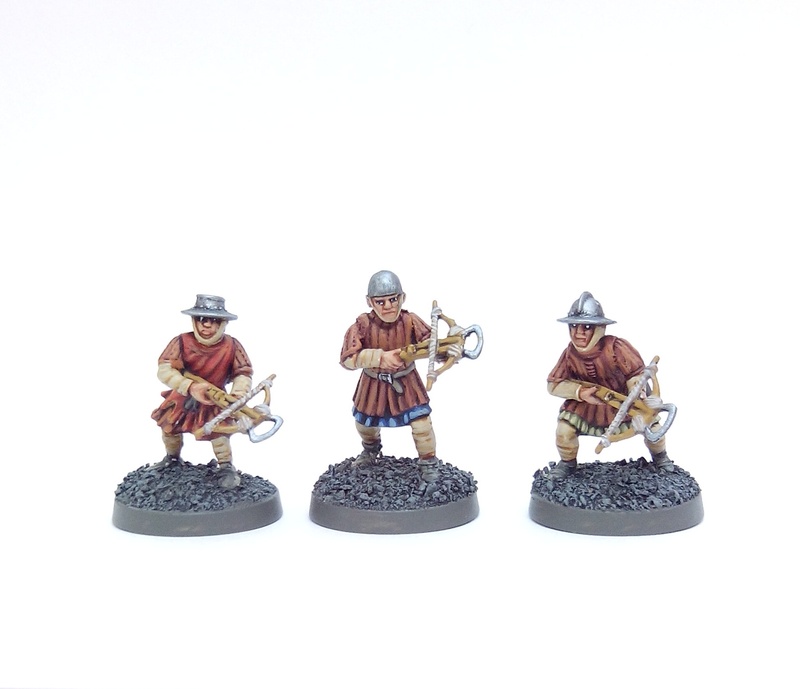 This first set are Fireforge Foot Sergeant figures which will be used as Men at Arms and Crossbowmen. As I’ll only use these with Frostgrave I concentrated on what I’d describe as ‘fantasy colours’ rather than authentic Medieval tones or livery – for example the Gambesons are painted up as leather rather than linen/wool and the shields are just randomly painted using a few water slide transfers from GW. Similarly I based them purely with Frostgrave’s streets in mind rather than emulating historical battlefields of mud and turf. This entry was posted in Post-1990 and tagged Fireforge, Frostgrave on September 8, 2015 by Hobgoblin Orange.